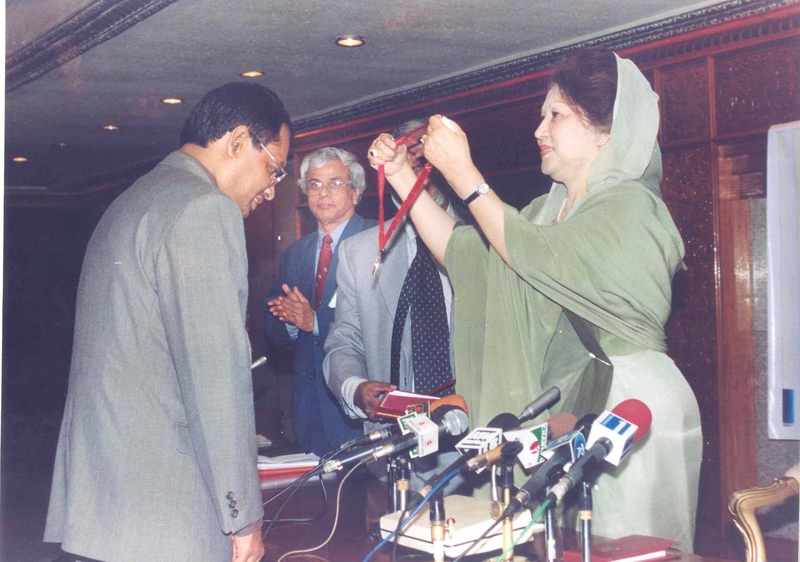 Honourable Prime Minister Begum Khaleda Zia awarded BAS (Bangladesh Academy of Sciences) gold medals to 10 renowned scientists of the country at the International Conference Centre (ICC) in Dhaka in recognition of their outstanding contributions in the field of science and technology. Dr. M. Kaykobad, Professor, CSE, BUET, has been awarded Academy Gold Medal for Senior Scientists in Physical Sciences for the year 2004. Dr. Md. Saidur Rahman, Associate Professor, CSE, BUET, has been awarded Academy Gold Medal for Junior Scientists in Physical Sciences for the year 2003.